Cycle touring allows you to really experience an area in a way that is impossible when travelling by car, bus or train. Our cycling holidays in Europe bring you closer to the culture of a country, allowing you to appreciate the scenery, the people, their history, culture and cuisine. 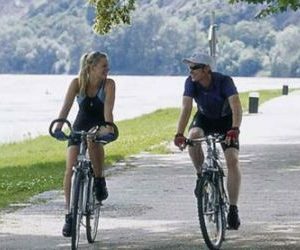 Amongst our cycling holidays you will find tours that are perfect for all types of touring cyclists: couples, families with young children, individuals and groups of any size. All of our cycling holidays use cycle paths and quiet roads whenever possible and all include clear route instructions and emergency support, as well as (sometimes optional) baggage transfers and bike hire. All of our cycling holidays in Europe offer accommodation in specially selected hotels, lodges and guest houses, where a warm welcome is assured. Most tours are booked on a B&B basis with the option of half-board, some offer half-board as standard. 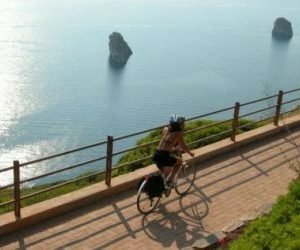 This website is currently lists only a small selection of the cycling holidays in Europe that we have available. If you would like to do a bike tour that is not listed or would like us to put together a tailor-made itinerary please send us the details. We will be delighted to prepare a proposal for a tailor-made cycling holiday. 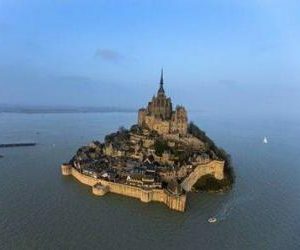 What’s usually included on our cycling holidays in Europe? Accommodation in good quality, cyclist-friendly hotels. Bed & breakfast with the option of half board on self-guided tours. Full or half-board on guided and boat & bike tours. Luggage transfers – Sometime with discounts if not required. Optional bike hire, including electric bikes on most holidays. Road books and detailed route notes on all self-guided holidays. GPS files on many self-guided tours. Local support and assistance, including vehicle support on guided holidays. What’s Special about RFH Cycling Holidays? A fully-bonded travel agent, registered in Spain: CI-AN-18445-3. Over 25 years experience of organising holidays & travel. A great selection of cycling holidays personally chosen by cycling enthusiasts. We guarantee that we will never be beaten on value for money or on quality of service.